We offer a 14 day inspection period for you to review your emerald or finished jewelry item. The 14 day period begins when you sign for and receive your item from the shipping carrier. If you are not completely satisfied with your item, you can return it for a full refund. While you have possession of any item you are fully responsible for its value and care. If you need an extended inspection period, special circumstances can be agreed upon; however, they must be done so prior to the shipment of your item. Please contact us at 1-212-204-8581 to make special arrangements for an extended inspection period. Please note: Loose emeralds will not be accepted for a refund if they have been set, scratched, chipped, fractured, weigh differently, or have been altered in any way. We strongly recommend that you do not set your emerald with another jeweler until you fully intend to purchase it. The Center Gemstone: The emerald being used in the design can almost always be returned for a full refund within 14 days after receiving the item. 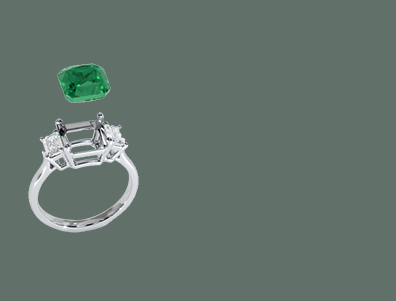 The Setting and Materials Used: The Setting that was made for the specific emerald is not returnable for a few reasons. Custom made settings are created to fit the precise dimensions of the center stone and the finger size of the client. Custom made orders are crafted to the specific taste and liking of the client, and unfortunately we cannot issue refunds on the setting component of the order as it is highly unlikely that another client will purchase the specific design and center stone that was created. We WILL allow the center stone to be returned for a refund within 14 days of receipt because the stone can still be used in countless other design options that our future customers can choose from. Should you request a custom setting to be manufactured for your stone selection, payment in full is required before production will begin. There are situations where we will reserve the right to refuse a return on custom orders, such as if a setting style (bezel setting) poses risk to remove the stone from the ring, or if we are required to recut the center stone for a special issue, such as altering the shape for various reasons to work in the setting design. In this case we will inform you in writing of this special circumstance. We encourage our clients to preview the loose emerald they are interested in before creating a custom order jewelry setting for that stone. To help our customers better imagine their custom jewelry pieces, we provide two complimentary computer rendered images and one 3D wax model of the setting. The wax model is available to see the design in person before you place your order. Please contact us to inquire about these services. If you have any specific questions regarding returns, please call us at 1-212-204-8581 or email us at info@emeralds.com. Items must be returned in the same condition as they were sent. If the item is damaged in any way, it will not be accepted for a refund. While you have possession of any item you are fully responsible for its value and care. A refund will be issued after we receive your return. Shipping costs cannot be refunded. If you paid by credit card, the charge will be credited back to your card. If you paid by check or wire transfer, a company check will be issued to the name on the account from which the purchase was made from. In order to deter potential theft, please do not write any words on the package shipping label that may allude to the contents of the package (such as gems, emeralds, jewelry, etc.). Do not declare the exact nature of the contents you are sending. If required by customs or the shipping company, specify the item is an “Antique Sample” or “Rock Crystal Sample”. Our normal business hours are Monday through Friday, 10AM to 6PM. Our last appointment time is 5PM. We welcome clients and visitors to our showroom offices during normal business hours. We are not a traditional retail storefront, so appointments are strongly encouraged. Feel free to contact us to make an appointment or to ask any questions about visiting our office! We have very strict security procedures to enter our building and our offices. Appointments must be made in advance, and all guests must bring a valid photo ID for security when you arrive. Visitors should be willing to submit to metal detector testing. Please view our Security and Fraud section to learn more about our security measures when visiting us in person. 1. What does “Status: On Hold” mean? “On Hold” means an item is being previewed by another client and is not available for immediate delivery. The item may not sell and could be returned to us within a short period of time. If the item is returned, its status will be changed to “Available” and it can be shipped immediately. If an item is on hold, you can still decide to go through the purchase process and buy the item. However, it may not ship immediately. If the item is not returned to us, we will contact you to let you know that your transaction has been voided. If you are extremely interested in buying an item that has an “On Hold” status, you should complete the online purchase process. You will have top priority in receiving the item if it becomes available. 2. What does “Status: Available” mean? “Available” means just that – an item is available for immediate sale and delivery. If you would like to buy the item, you can complete the purchase process. You will receive confirmation of your order and will be notified when your item has been shipped. 3. What are your “Setting Options” and how do they work? Our “Setting Options” are the various mounting designs we offer for you to create a custom jewelry item. They include ring, earring, necklace, and pendant settings. 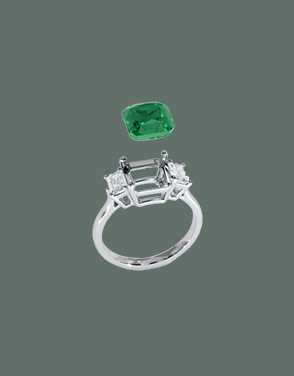 We can set any of our emeralds or emerald pairs in your desired setting option. As emerald specialists, our aim is to maintain the widest selection of loose emeralds that our customers can choose from. 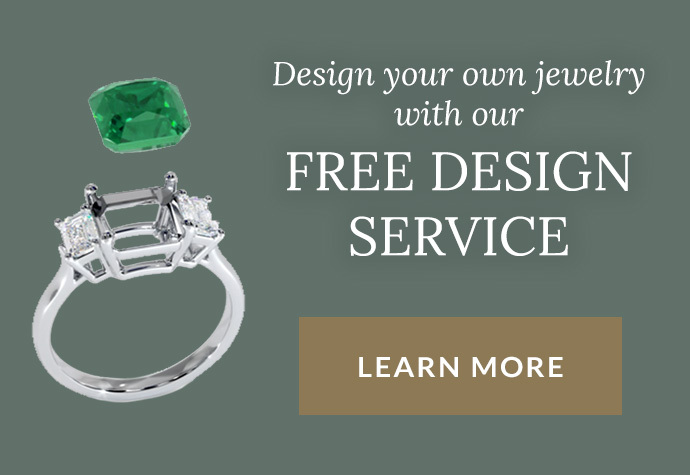 You can browse our jewelry setting designs and then pick an emerald, or you can select an emerald first and then pick a setting. 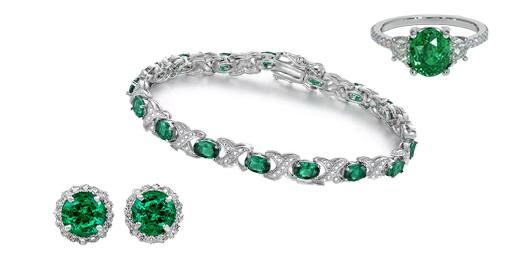 Either way, our clients can create their own unique combination of an emerald and a jewelry setting. We have hundreds of setting options to choose from, but if you don’t see what you are looking for, or you have an example of a piece you want to re-create, we are happy to work with you to create a specially commissioned piece. If you have more questions about special setting designs please call us at 1-212-204-8581. We can create anything! 4. How can I see what my custom setting will look like? To help our customers better imagine their custom jewelry pieces, we provide two complimentary computer rendered images. Additionally, we can create and deliver a custom 3D wax model of the actual setting design for a nominal $95 fee. 5. Can I request to see more than one item at a time? If you see more than one item that you would like to preview, please call us directly at 1-212-204-8581 to discuss your order. We usually allow customers to compare more than one item at a time in person. However, please do not purchase multiple items online that you do not intend to buy without notifying us first. 6. Do you offer a military discount? 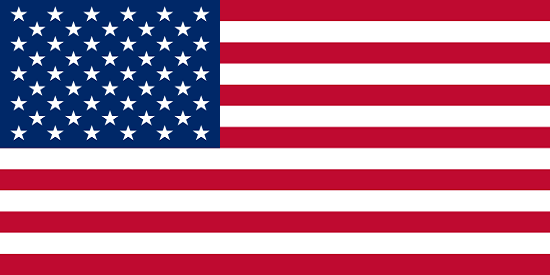 We are happy to offer a 10% discount for active duty military personnel and their dependent family members. A valid military email address is needed for verification. Military discounts cannot be combined with other discounts, sales, or promotions. The Natural Emerald Company provides our customers with a Lifetime warranty against manufacturing defects on all the jewelry. If you believe an item has a manufacturing defect please contact us immediately. Our warranty does not cover repairs or alterations made by a 3rd party (another jeweler) unless a prior written agreement is made for repairs being authorized by a 3rd party (example: ring resizing, prong tightening). Repair or service performed by a jeweler without prior consent will void our Lifetime warranty. Manufacturing Defects will be repaired or replaced without charge. All types of jewelry can be affected by normal use, or accidents/trauma. This is especially true for rings worn on a regular basis, since hands and fingers are very active and subjected to multiple risks in damaging jewelry. Our manufacturing warranty excludes coverage for wear and tear and in rare instances of lost gemstones. Discoloration of gold/platinum caused by exposure to chemicals, Examples; cleaning acids, hot tubs used for bathing. Precious metals, and especially prong set gemstones can wear down over time and may require restoration. Thread in clothing can catch a loose prong over time; bending to everyday wear allowing a gemstone to fall out. The loss of a gemstone caused by an accident/trauma damage. We strongly suggest prongs that hold gemstones be visually inspected for any possible loosening from normal wear so that repairs required to preserve the integrity of the jewelry are made. Repairs that are not covered under our Lifetime warranty will be given a price quote by one of our professional service representatives for approval before work is performed. As an e-commerce jewelry company, we understand the concerns about shopping for such unique items online. Great care is taken to capture our items’ true color properties. Our photographers try to capture the most accurate color and clarity of all of our emeralds and jewelry. However, we do not have control over the brightness and color settings of individual home computer monitors. While we test the color accuracy of all of our images across multiple monitors, there is no uniform standard in brightness or color tone from one monitor to the next. Please keep these limitations in mind when viewing an item. We send all of our emeralds and jewelry with our in-house reports. If your item also has a third party lab certification (from the GIA or another institution), this document will be sent separately after the purchase has been confirmed. Third party lab reports cannot be replaced, so we send them after we hear from our customers that they will be keeping their item. 10. Do we sell 2nd hand (previously owned) jewelry? 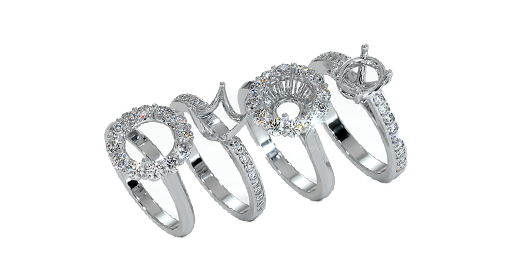 The majority of our clients are purchasing for an engagement or other emotionally significant occasion. For this reason, and from the frequent request of our customers, we only sell newly made jewelry and recently mined gemstones. 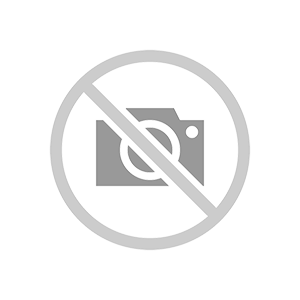 We do not sell items that have been purchased previously, i.e. broken engagements, 2nd hand or estate jewelry. We use the US system for ring sizing. Below is a ring size comparison chart for the different international systems. Don’t know your ring size? Open and print this ring sizing PDF from our sister company. Follow the instructions to get the closest approximation of your ring size. Please note: Our ring sizing chart is based on the US system for ring sizing and provides an approximate ring size only. When used correctly, it is very accurate. 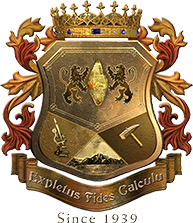 Please click here to open a PDF of our stone size chart from our sister company. The chart below features common gemstone shapes. The most popular shapes for colored gemstones are round, cushion, emerald, radiant and princess. If you would like more information regarding the characteristics of each shape, please call us to speak with a gemologist who will be happy to help you select your emerald. While diamonds have an internationally established grading system, there is no official, standardized method to analyze clarity in emeralds and other gemstones. Usually, the jewelry industry grades colored gemstones, including emeralds, at eye level rather than the diamond standard of 10x magnification. 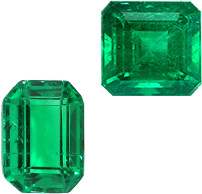 At The Natural Emerald Company we grade the clarity of our emeralds on a comparative basis. 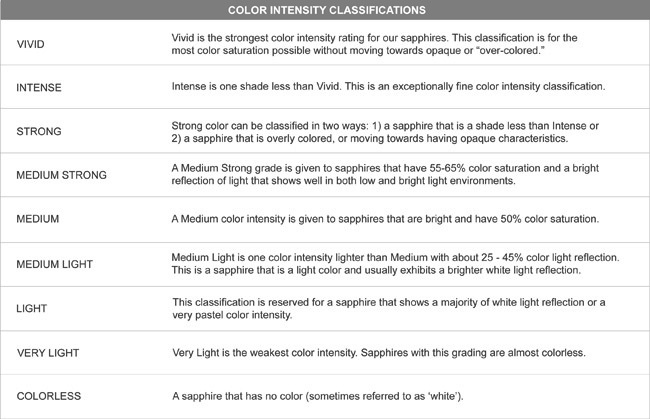 We have borrowed some of the standard diamond grading terms and applied them to emeralds to better assist customers who may be familiar with diamond clarity terminology (example: VS1, SI2). We create our jewelry items in a variety of different precious metals including: palladium, white gold, yellow gold, rose gold, and platinum. We also offer different karat weights for our gold items, including 14K and 18K gold. The best way to clean your precious metal jewelry is with soap and water and a small brush or cloth. Like palladium and platinum itself, rhodium is a member of the platinum group. It is one of the rarest and most expensive precious metals in the world. Rhodium-plating is widely used as the final step in the finishing process for fine jewelry. It adds a gleaming white finish to the slight golden hue of even the highest karat white gold. Rhodium plating is tarnish-resistant and tremendously durable, but it can fade with time due to wear and body chemistry. If you detect any change in the tone of your jewelry, it can easily be re-plated and restored to its original gleam. Paying with a credit card is the safest and most secure way to pay; both the customer and the business are protected from fraud. We also accept bank wire transfers and personal checks. If you would like to pay via one of these methods, please contact us so we can manually process your order. You are welcome to contact us at 1-212-204-8581 between 10AM and 6PM EST if you have any questions about ordering an item or our accepted payment methods. We ship worldwide on a daily basis. Depending on your location and the value of the item you purchase, your item will be sent via FedEx or United States Postal Service (USPS). All client details, including shipping addresses, must match the authorization information of the credit card used. If you would like your shipment sent to a non-confirmed address, you can arrange to add an “alternative confirmed address” with your credit card company. Please call us at 1-212-204-8581 or email us if you have any questions regarding shipping. If paying via wire transfer, we will ship anywhere you request. Signature is REQUIRED for all deliveries. Customers are responsible for all items after the package has been signed for. We take security very seriously at The Natural Emerald Company. Purchases made through our secure website, in person, or by phone, are subject to extensive security checks to prevent fraud and give our customers the highest assurances of security and safety. 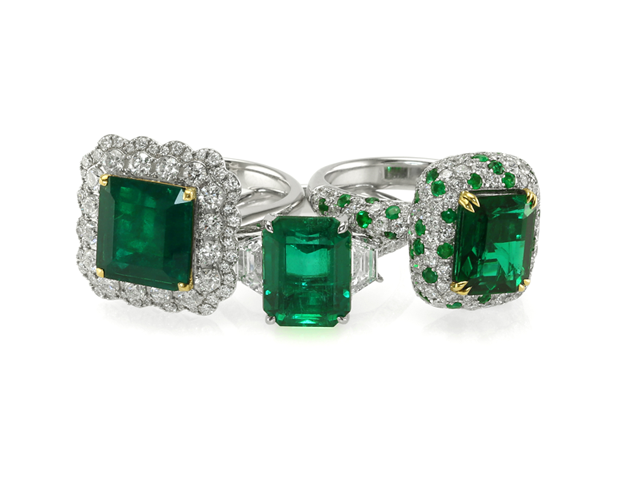 We encourage customers to visit our New York location to view our emeralds in person. Please review the security measures below if you plan to visit our office. All online payments with credit cards are protected by the latest and most advanced online security technology. All transactions on our website go through SSL (Secure Socket Layers). This is the industry standard for online security and is also used by financial institutions. The security and privacy of your credit card, personal contact data, and all other electronic information is never at risk of being stolen or misused. The Natural Emerald Company (“us”, “we”, or “our”) operates the www.Emeralds.com website (the “Service”). To monitor usage of our Service. To provide you with news, specific offers, and general information about other goods, services, and events which we offer that are similar to those that you have already purchased or enquired about unless you have opted not to receive such information. The Natural Emerald Company will also retain Usage Data for internal analysis purposes. Usage Data is generally retained for a shorter period of time, except when this data is used to strengthen the security or to improve the functionality of our Service, or we are legally obligated to retain this data for longer time periods. 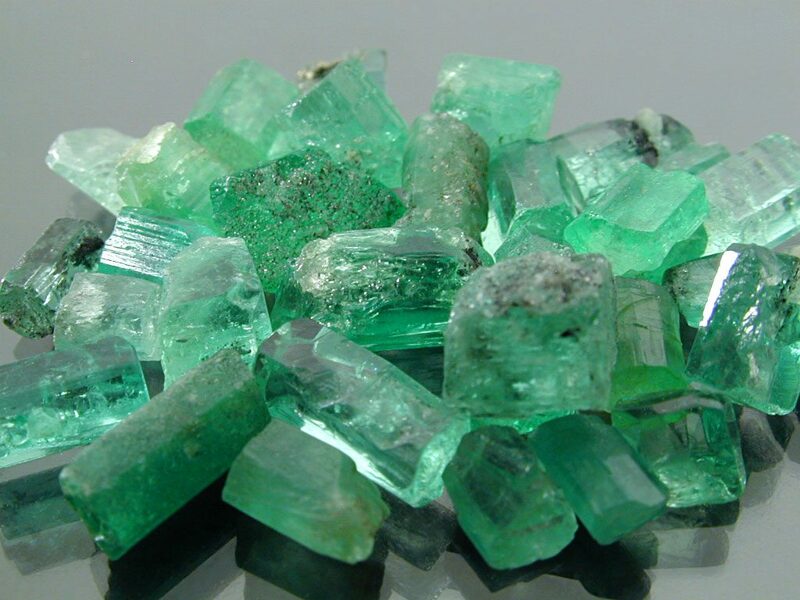 Under certain circumstances, The Natural Emerald Company may be required to disclose your Personal Data if required to do so by law or in response to valid requests by public authorities (e.g. a court or a government agency). If you are a resident of the European Economic Area (EEA), you have certain data protection rights. The Natural Emerald Company aims to take reasonable steps to allow you to correct, amend, delete, or limit the use of your Personal Data. The right to withdraw consent. You also have the right to withdraw your consent at any time where The Natural Emerald Company relied on your consent to process your personal information.